Once the timer was set, City of Wilsonville officials scrambled. They could ill afford to let the clock strike zero. On Jan. 29, 1998, with the Oregon State Legislature Emergency Board expected to approve the siting of a women's prison and intake facility at the defunct Dammasch State Hospital property the next day, Oregon Speaker of the House Lynn Lundquist gave City of Wilsonville lobbyist Greg Leo an ultimatum: Find an alternative site in Wilsonville in 24 hours or a prison will be built atop what the City viewed as prime residential real estate. So then-City Manager Arlene Loble, Mayor Charlotte Lehan and planners like current City of Wilsonville Community Development Director Chris Neamtzu began their frantic search. "It was like D-Day," Loble said. "The sand was slipping through the hourglass," Neamtzu said. Using the City's new geographic information system, they scoured maps looking for a site they deemed suitable and would meet the Oregon Department of Corrections requirements: flat terrain, close to an interchange and outside of the floodplain, among other specifications. After a few hours, they found an aerial photo of an area to the north of Wilsonville at Day and Grahams Ferry roads. Neamtzu visited the site as the sun fell late in the afternoon and found a junkyard filled with a smattering of debris, tires and abandoned vehicles. Nevertheless, the site checked out. And the next day, Leo and the City managed to convince the Emergency Board to pass a $151 million funding proposal with an amendment that the prison could either be built at Dammasch or another site in Wilsonville. The state had spent years looking for an appropriate site, but the City found a place for what eventually would become the location of the prison in less than a day. The irony was not lost on Lehan. "It was really rather comical how that came together," she said. Many twists and turns followed the board's decision before the Day Road location finally was approved. But in 2001, the Coffee Creek Correctional Facility opened in the northern part of Wilsonville, housing as many as 1,685 inmates, and the site that once seemed like the inevitable building ground for the prison now is a residential area with approximately 5,000 residents: Villebois. For many who were ensnared in the ordeal at the time, the prison siting deliberation was arguably the most controversial and impactful issue in the City of Wilsonville's 50-year history. And 2019 marks the 20-year anniversary of the Legislature's decision to locate the prison at Day Road rather than Dammasch. "I think it played a huge role in Wilsonville's growth," said former Spokesman editor Tom Morlan, citing the residential development in Villebois and the money the City received for public infrastructure. "It transformed what was once a sleepy little town into a thriving part of the Portland metro area, and I think it helped provide a lot of homes for families and, frankly, a lot of funds to help the City develop amenities that everyone in the community can enjoy." Worried that the State of Oregon might propose an ill-conceived idea for what to do with the Dammasch State Hospital site upon the closure of the state-owned hospital in 1995, the City of Wilsonville was working swiftly to pass the Dammasch Area Master Plan with the vision of eventually annexing the area and creating an urban village at the 520-acre site. Lehan said the City included state agencies like the department of housing and mental health in the planning process. So when she found out in October 1996 that Dammasch, as well as the Wilsonville acreage that is now Graham Oaks Nature Park, were potential sites for a new prison, Lehan was befuddled. "We were initially quite shocked because we had so many other state agencies working on master planning, and we were close to a finished product," she said. "We thought there must be some kind of mistake." The need for the prison became apparent after the 1994 passing of Measure 11, which established mandatory minimum sentencing for certain crimes. According to the state, the prison population would more than double in the subsequent 10 years, and it needed a place to put the inmates. "Measure 11 is the engine driving this," said Bill Carey, the chairman of the prison siting authority in a 1996 public hearing. "I think all of us, including our governor, would rather spend money on education (instead of) building prisons." 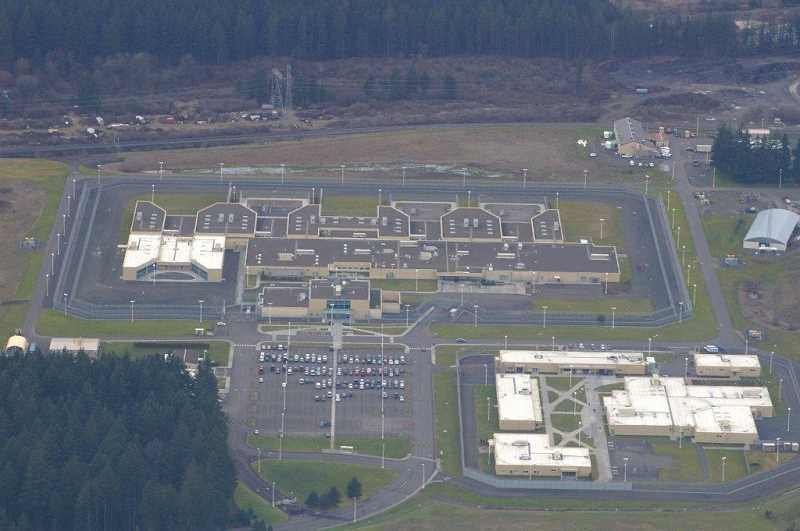 The Dammasch State Hospital site was selected as a possibility and eventually as the preferred prison choice by the Corrections Facilities Siting Authority, in part because the state owned the land and also because it was located in the Portland metro area — i.e. near the families of many of the inmates who would reside in the prison. But there was one problem. The vast majority of Wilsonville residents and City officials abhorred the idea. Along with foiling the City's plan for an urban village, the site was located just 1,500 feet from Inza. R Wood Middle School and near existing Wilsonville neighborhoods like Park at Merryfield and Hazelwood. "There was also an environmental aspect to it. Because there was a beautiful hill with a beautiful view, we felt like it should be saved for something more special than a prison," said longtime Wilsonville resident Doris Wehler. The site also overlooks wildlife-heavy wetlands. Wilsonville resident Kathy Rice, for her part, feared for her safety. "They have what's called a kill zone, a perimeter in which a guard can shoot escaping prisoners and the kill zone was included in my zone, and I was running in-home child care at the time," said Rice, who lives around the corner from where the prison would have been located. "It was extremely scary." Kathy's husband, Ken Rice, even remembers neighbors selling their homes for much less than their previous market value to avoid living next to a prison. "Had the prison been built where it was going to be, the west side (of town) would have stagnated and deteriorated," he said. To show their disdain, hundreds of residents flooded town halls and meetings at Wood, Wilsonville High School and other areas and even formed a human chain between Wood and the prison site to symbolize the close proximity between the two locations. "The three-year battle galvanized the community like nothing else in the city's history," The Spokesman wrote in its decade in review issue in 2000. Much of the opposition efforts were led by two citizen organizations: SAFETY (Stop Any Future Escapees This Year) and Oregonians for Responsible Prison Siting (ORPS), which spent over $150,000 fighting the Dammasch Plan through lobbying and other efforts. "The state was paying close attention to us," SAFETY leader John Ludlow said. "When you're beating the drum loudly, you've got media involved, and you've got some pretty affluent people writing into their legislators saying this is all wrong in so many ways, then the state was willing to deal." Kathy Rice, a member of ORPS, said the organization frequently would show up to meetings that Gov. John Kitzhaber attended. "At a school board meeting he was at, I stood up and said 'So what do you think about placing prisons right next to schools?' He said: 'Why don't you go away? You guys are always here. Go away,'" Rice said. To Morlan — the journalist — Kitzhaber's resoluteness about a prison being sited in Wilsonville was one of his most lasting memories from the controversy. The governor rejected all locations for the prison outside of Wilsonville, including vetoing a Senate bill passed by the Legislature that would have cited the prison in Umatilla County. "I remember sitting in his office listening to him and it seemed like he wasn't going to budge," Morlan said. "He would be adamant that it would be sited at Dammasch." Meanwhile, a drinking water issue hung over the whole story. Because the City's wells were running dry and the state wouldn't allow it to build more wells, the City issued a building moratorium in 1997 that was set to end in 2000. And through the years, the City continuously told the state that it did not have enough water to accommodate a prison. The state, though, worked out a deal to receive water from the Bull Run Watershed in Portland if the Dammasch site were approved. Lehan thought that was a bad idea because the City of Portland would have ended up in control of the prison's water. But in 1999, by a close margin, the City of Wilsonville voted to take water from the Willamette River and also fund the development of the Willamette River Water Treatment Plant. Suddenly, water was no longer an issue. "If we hadn't passed that, I don't know what would have happened with the prison," Lehan said. After the City proposed the Day Road site, Kitzhaber and the state initially rejected it, citing higher costs than the Dammasch site and a long construction delay. But the City continued to argue to the state and the Legislature that the site was more suitable for a prison because it was over two miles away from a school, closer to the freeway and located near compatible industrial areas. "They're (CCCF) in a compatible neighborhood with other high-security businesses, trucks going and going, different than what they would have if they had located in middle of residential zone," Lehan said. Not everyone in Wilsonville approved of the Day Road site. Former mayor and then-state legislator Jerry Krummel was against a prison being built anywhere in Wilsonville and a group of citizens who lived near Day Road vehemently opposed it and formed the Citizen's for Accountability in Prison Siting group. Part of the issue was that the ODOC would need to buy off or condemn a number of properties located on the current site. Most comically, a man who lived on Clay Street near the prison planted a gaggle of derelict buses in his backyard as a protest. "It was like he was growing school buses. It was hilarious. At Christmastime he lit them up, too," Ludlow said. "There was a constant stream of traffic going down there just to see this guy's buses." Eventually, the state Legislature and Kitzhaber came around to the idea of the Day Road site and passed Senate Bill 686, which began the process by which Day Road was selected as the location for the prison. "July 23, 1999. Mark that date as a turning point in Wilsonville's history, a day when city officials regained control over a situation that once seemed hopeless," the Spokesman wrote the week after the bill passed. Morlan credited the leadership of Lehan and Loble for turning the tide while Lehan credited Leo's lobbying in the state Capitol. "I'm glad the city was represented by somebody like Charlotte Lehan, who had the foresight to propose an alternative location and the determination to never give up," Morlan said. As part of the planning for what became CCCF, the state gave the City $10 million to build water and sewer infrastructure for the prison and the treatment plant. The State of Oregon also eventually benefited from the preservation of the Dammasch property, eventually selling the site to Villebois developer Costa Pacific Communities for $13.6 million. "I think the state ultimately looked at the economic advantages of that land and how it might be best utilized for the citizens, and I believe it played a role in the decision to site it near Day Road," Morlan said. It's hard to overstate the impact of the addition of Villebois to the Wilsonville community. The area will have about 6,000 residents at full buildout, has a variety of housing types and was one of the primary reasons that Wilsonville's population grew from 19,000 residents in 2010 to over 25,000 residents in 2019. And Wilsonville councilors Kristin Akervall and Ben West and state Rep. Courtney Neron are among residents of the community. Though the Frog Pond area's addition to the urban growth boundary means Wilsonville would have continued to grow anyway, Loble doesn't think Villebois could have been replicated in other areas of town. "There's a couple other sites around town we could do that in a small scale, but in terms of residential development and the location of schools, it would have been a travesty," she said. Though he was appreciative of Lehan's efforts to thwart the Dammasch siting and said the prison has been a positive impact on the community in terms of bringing economic activity, Ludlow is less effusive about the merits of Villebois, citing the extra traffic that has flooded into town in recent years, as well as the urban renewal money that was used to fund infrastructure at the Villebois development. The Westside Urban Renewal District was created in 2003 and is still open. "It was one of the areas they (the City) decided to really spend a lot of (urban renewal) money and they spent more there than any other place," Ludlow said. Wehler and Ludlow, who both moved to Wilsonville when there were around 1,000 residents, said they miss the small-town feel of the city and felt that Villebois has made it even less like it used to be. "It's brought in a different kind of population, people who don't want to take care of their yard because they are busy playing or doing other things on the weekend," Wehler said. Along with the obvious connection between the prison siting and the development of Villebois, Neamtzu said the infrastructure developed during the CCCF construction may have convinced the Metro regional government to add Wilsonville's two nascent industrial districts, Coffee Creek and Basalt Creek, into the urban growth boundary. The areas are projected to create over 6,000 jobs in Wilsonville in the coming decades. "The prison brought with it infrastructure to anchor industrial development," Neamtzu said. "It set the stage for the 2,000 acres of industrial expansion in Wilsonville, Tualatin and Sherwood." For Morlan, covering the prison siting controversy was a reporter's and editor's dream, and he said he wrote some of his best stories during that time. Though many true life stories do not end with happy resolution, Morlan felt that this one neatly wrapped up in a bow. "I'm glad the story had a happy ending because it was easily within the citizens' interests and the community's," he said.